I have discovered Pilates in 2008 further to the birth of my third child and incidentally as a guinea pig for the very special person, Jeanique who was to become my mentor in the teacher training program at The Pilates Center and who at that time was undertaking the very same program to become an awesome Pilates teacher. I have decided to become a Pilates teacher at a point in my life where I felt the need to rethink long and far where I could picture myself as I grow older. Having been a corporate lawyer for almost 15 years and having left my career to raise my children, I clearly realized that I did not want to return on the corporate path, I had grown very far away from that environment and with the years passing on, had developed a deep interest in reflecting on physical movement and the benefits it brings to a sound mind. I had always practised multiple sports and dancing and realized that with age, I wanted to stay fit and healthy and communicate that passion to others. 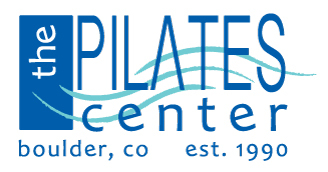 It was time to return to the world all the positive gains I experienced through Pilates. This is why I chose to enroll the teacher training program.